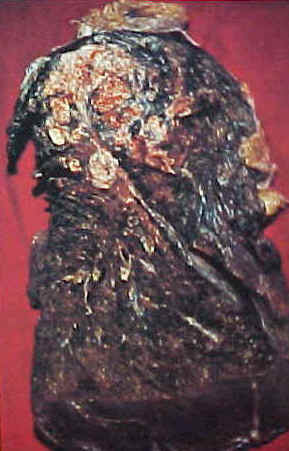 This is what can happen to your insides, if you use tobacco. This page was designed by Tommi Freestone, an 8th grader at Andersen Jr. High School, in Chandler, Arizona. Do you have any cool ideas? Would you like to see your name featured in our website? Email us with your thoughts. This is the story of Sean Marsee, a 12-year-old who began to chew tobacco. By the age of 18, Sean was diagnosed with tongue cancer. 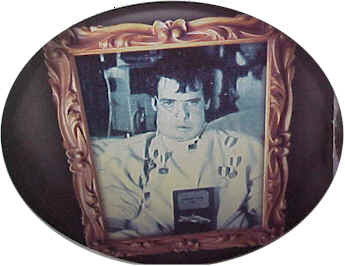 At the age of 19, Sean died of oral cancer, after having many surgeries in attempts to save his life. Gingivitis - Spit tobacco users have a 9 times greater risk of developing gum disease than nonusers. 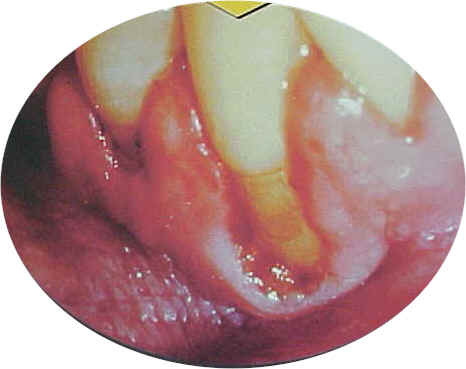 Dentists have found that gums will pull away from teeth in the same area where snuff users place their dip. Once this happens, the gums do not grow back. 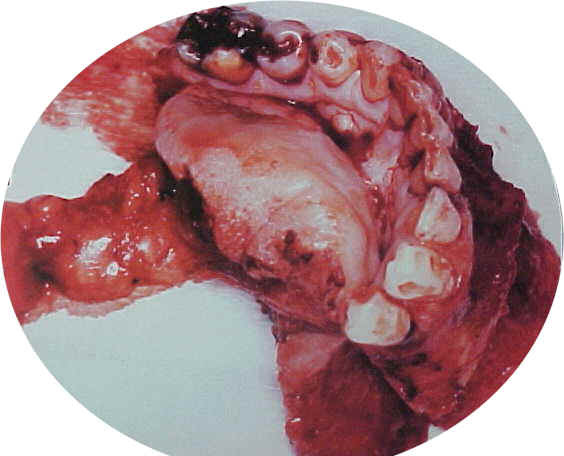 Oral cancer is hard to cure, because it spreads very fast. Some athletes have developed mouth cancer after only 6 or 7 years of using spit tobacco. This guy's jaw had to be removed, because he chewed tobacco. This picture shows tongue cancer, which developed because this guy thought that chewing tobacco made him a better ball player. He will need surgery on his tongue to remove the cancer, and he will probably lose some of his tongue in the process. I don't think so! This guy's teeth are stained because he smokes! This is what happens to your lungs when you smoke. The lung on the left is healthy - came from someone living in a city. 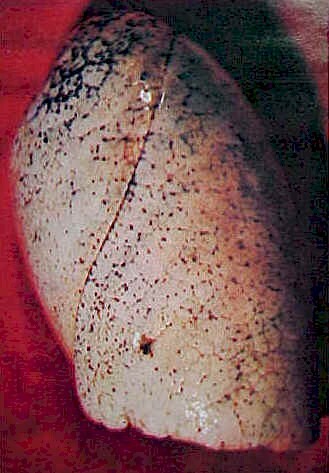 The lung on the right came from someone who died from Lung Cancer. What a shame! These are pictures from inside a lung of a person who had emphysema. 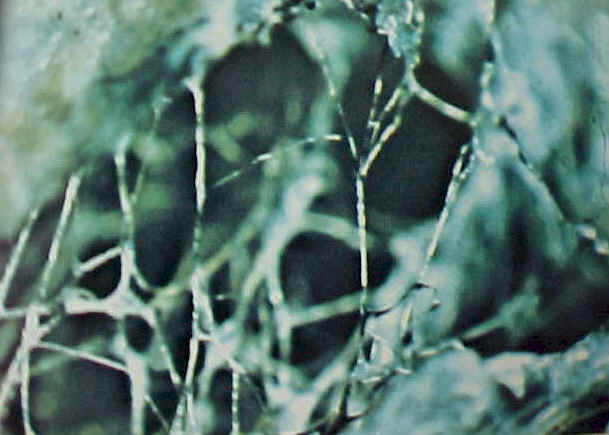 The air sacs, called alveoli, have degenerated into stringlike shreds. 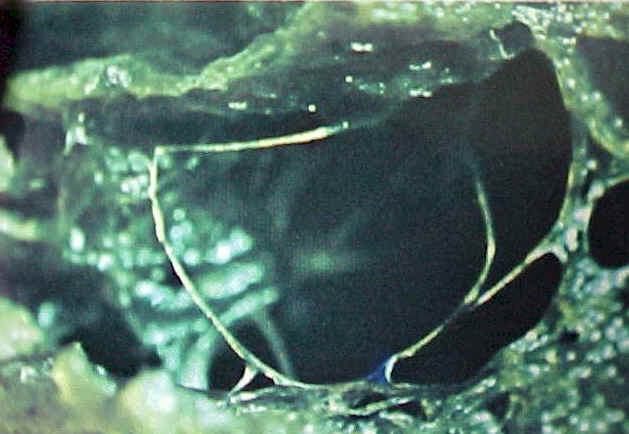 The sacs have ruptured due to the tar and other chemicals that the smoker inhaled from his cigarette. The cavaties you see here are nonfunctional - even though they appear to be filled with air, they will not help you breathe!